There are several new administrators, as well as a few staff with position changes, who are ready to help the student body throughout the school year. Robert Shepard, one of the speech and debate coaches, is returning to the department after 18 years. He left the school in 2000, working at many schools in other districts, including Duncanville, Creekview and McMillan. Shepard’s goal is to provide opportunities to every student so that they can reach the level of success that they want. Shepard is incredibly passionate about what he does. “For me, it’s not about winning, it’s about helping children find their voice,” Shepard said. Shepard said watching his students’ transformation in just one semester of his class is the reason he enjoys teaching. Shepard said he’s excited to rejoin the tradition of excellence that staff and students have upheld since he’s left. Andrew Jacob is not new to the school in any sense, as he has worked here for six years, but he has had a big transition from assistant principal to associate principal for activities. As an assistant principal, he oversaw an assigned group of students, working to help them as necessary. His responsibilities now encompass a much broader range of subjects, from overseeing student activities, such as clubs and organizations, to taking care of the facilities and coordinating all UIL sports and academic activities. Jacob’s vision this year is to keep the campus culture strong and help it get better by focusing on student voice and student leadership. He is already preparing to get the president’s council started soon, where the leadership of the school’s clubs and organizations get together to plan campus improvement. Jacob said he is constantly impressed by the student body’s dedication and diligence. Jacob said he can’t wait to get to know the students better and work with them. Finally, a completely new administrator is being welcomed to school this year, Dr. Coryn Prince. Prince has been working in PISD for 15 years, and most recently served as an assistant principal at Jasper High School. She is thrilled to be an associate principal at school this year. “I was struck immediately by the sense of culture and tradition here,” Prince said. She said she is also impressed by how committed the teachers and administrators are. Prince’s main tasks focus on the master teacher schedule, working closely with them when they need to plan together or learn a new skill and supporting students whenever she can. 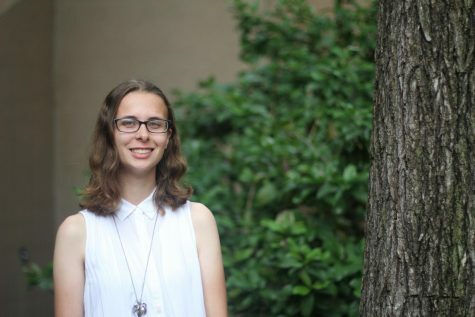 Her goals for the school year include getting to know the campus, figuring out what the students need and want and learning the spirit cadences. “I’m really passionate about getting connected and getting involved in our school in order to maximize students’ high school experience,” Prince said.